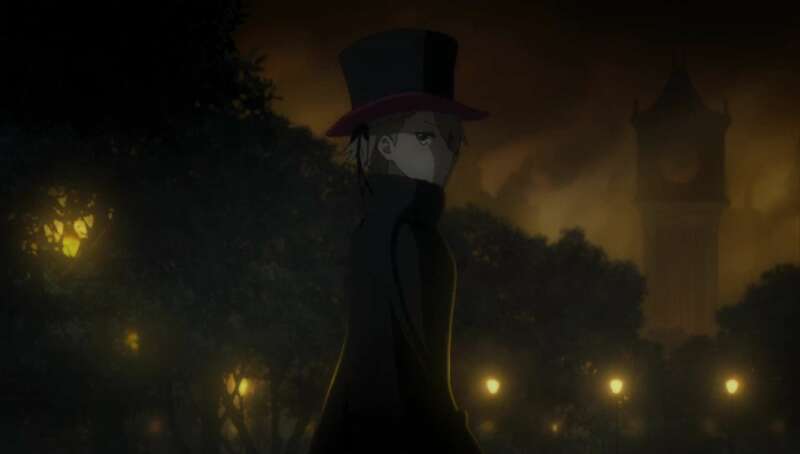 ____Princess Principal is Studio 3Hz's latest work, and most people seem to love it. However, when I look at it, all I can see is some major flaws that I just can't overlook with a show like this. Before I get into what I disliked about it, let's talk about the great things. 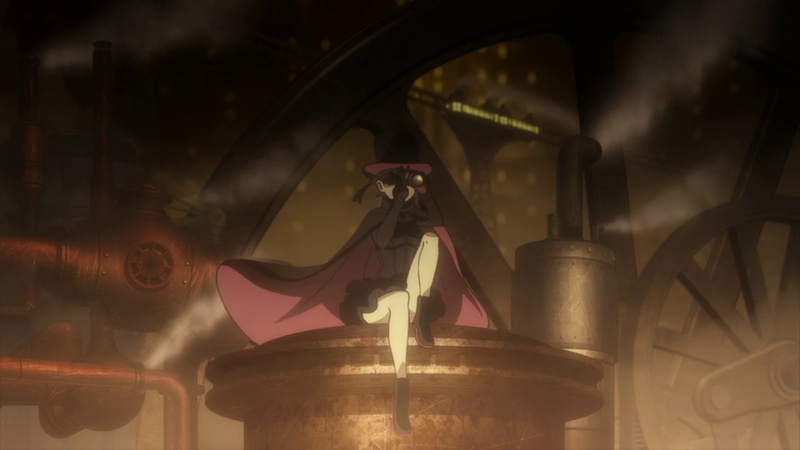 The music is by far my favorite thing about Princess Principal. I've always argued that music is an important element of anime, as you don't get that when you read manga. Because of that, I always pay attention to the sountrack/sound effects to see if the directors could make this show come to life in the sound aspect as well. It's safe to say that Princess Principal delivered on that spot amazingly. The background music always seems to set the mood perfectly, and is what managed to keep me invested throughout the entire series and to get some enjoyment out of it. The ending theme was nice and chill, and I quite liked it. But then you have the opening theme, which is easily one of the most kickass songs of the Fall 2017 season, right there with Shingeki no Bahamut: Virgin Soul Opening 2 and Re;Creators Opening 2. It's what I looked forward to every episode, and I actually sang along, as it is in English. And pretty good English mind you. The art is another great thing about this show. The animation is always crisp and a delight on the eyes. I find this another important thing in anime yet I'm not too picky. I tend not to look at the animation itself, but the art style itself. I like to see what kind of self identities these anime can create with themselves and whether their art style will show the passion and personalities of the directors and animators. A great example would be Mob Psycho 100. I mean it's not very often you see that art style, let alone an art style like that animated so well. Although the art style itself isn't something completely unique as it tends to follow the cute anime girl style with shiny graphics, the neatness and beauty that comes through is truly amazing, and I appreciated the backgrounds every time I watched. Princess Principal is definitely a sight for the eyes. Now let's get to the not so good stuff. The structure of this anime is definitely my biggest issue with this anime. If this was structured properly I probably would have liked it better. However, this anime is actually one giant mess when you think about it. My first big issue is the fact that it's mostly episodic until you hit the final two episodes. That's normally not an issue, if say you add proper foreshadowing about what's gonna happen. You know what Princess Principal forgot to do? Yep it forgot to foreshadow. The plot of the last two episodes was so forced in, that all it did was raise more questions about the world than it should have. My second big issue with structure is that instead of using actual characters going through situations and and showing their personalities bit by bit, they relied on flashbacks. Speaking of the characters how about we talk about them briefly. I will admit right here and now. I didn't care for half of the characters. I didn't care about if they lived or died, or what happened to them at all. There's this thing called forced development, and that's the feeling I got through every flashback. My least favorite character had to be Chise, as her only real moment of development was an episode of her past (Which may or may not count as a flashback. I'm still on the fence with that one), and I'm being honest again, I had to rewatch that episode because I forgot everything in it. Not a good thing.I at least have a recollection of the other episodes. The Princess is my second to least favorite as she almost has a little development as Chise, yet she managed to make me like her somewhat near the end. I also have a giant appreciation for anyone who can play piano, but that's just bias talking. However, she also does practically nothing for most of the show to the point you can forget her entire existence all together. Dorothy was easily my favorite character, as she actually had some personality and charm to her. I looked forward to her moments on screen, and both of the episodes revolving around her actually got me quite depressed. She's a kind and sassy woman and I appreciate it. However, the characters are pretty meh all around. Princess Principal left me with more head scratchers than Re:Zero and I had a lot of questions about that one. My main question is, and excuse the language, WHAT THE HELL IS THE C-BALL?! What is it made of, how does it work, why did only two people get one, and why does it exist in the first place? Another major thing is the way the anime ended. What happened to the kingdom? Did the Queen live through all that? How did their old bosses come back into power? What exactly what was happening behind the scenes? It's these kind of unanswered questions that I care about more than what the show actually gave us. This show is not a masterpiece. Nor is it completely horrible. These flaws I pointed out are merely things _I_ didn't like about it. So who knows. You may find those flaws as some of its charm. So check it out.